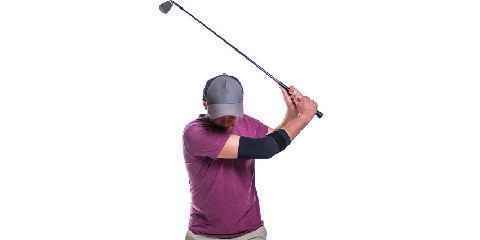 Golfers elbow brace is the supportive brace that is used for the people who have some problems with their elbow. This brace is used to reduce any kinds of pressure that occurred on the elbow and also forearm’s tissue. By deciding to choose this kind of brace, it means that you won’t deal with the surgery because this option minimizes the option of going under surgery. It seems to be a good deal for those who feel pain in the area of their elbow. Treatment by using golfers elbow band or braces is the treatment of medial epicondylitis. 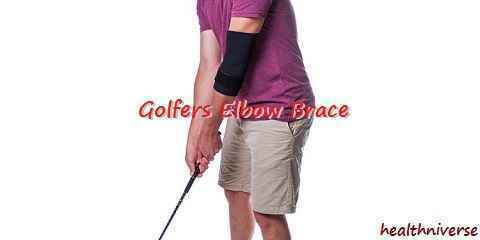 When you feel a bit painful with your elbow, this golfer’s brace can make you move much comfortably. It is made up of the breathable material thus you don’t need to feel hot while wearing this. When you are using this kind of elbow brace, you can still have your proper exercise and even do the weight lifting exercises as usual. Golfer’s elbow is a term that refers to the damage found on the tendons and also the muscles which have impacts of fingers and also wrist. It then affects the inner side of the elbow. If the pain keeps coming out, the pain can apparently spread to the wrist and also forearm. It can be caused by some factors such as the excessive stress which happens repeatedly, wrong wrist motion, and many more. Sometimes while using the elbow brace, people can do the warming up and also proper exercises such as lifting and also throwing something. It is to make your elbow gets used to working and making movement. Besides doing the standard movement, you can reduce the load of your painful elbow by using the brace. It consists of the right compression and it targets to the right painful spot exactly. This compression will make the inflammation gets lower and lower for the time being. It might work longer than what you had expected but in fact it turns out to be very useful and also beneficial. Both the strap and also the sleeve of this elbow brace will remove the pressure and the stress away from your elbow. It may take time but believe me it is totally worth a try. 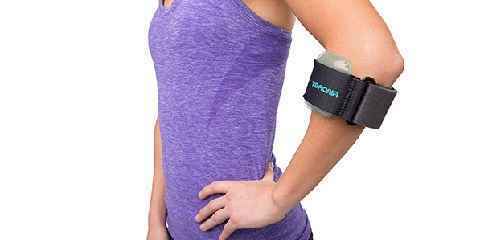 This elbow brace is very simple to be worn. First of all, you need to pull the arms up to make it able to be worn up. After that you need to place it to give exact pressure for the strap to give compression for your painful elbow. The closure helps you adjust the amount of the compression much easily. It will be a comfortable experience in using golfer’s brace. However, you have to keep in mind that using this brace along won’t make any differences when you don’t add this with the right movements such as working out, warming up, doing stretching, trying lifting something, throwing something, and more importantly making movements. Thus, when you feel uncomfortable around your elbow, you can try to have golfers elbow support.